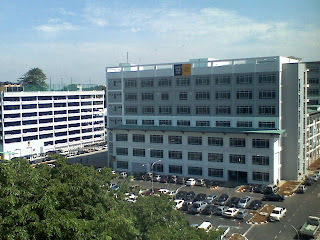 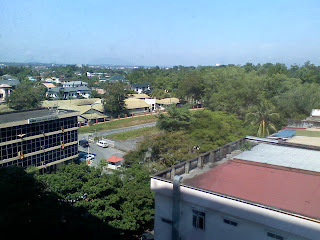 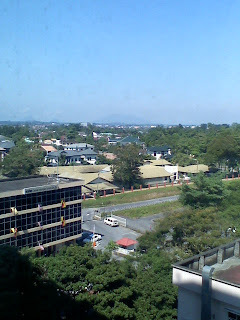 A very nice weather on Monday morning and nice view from KWSP building, Kuching. 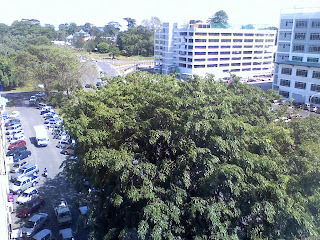 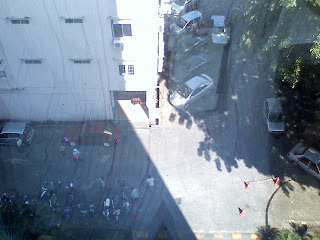 I went to KWSP Building on the morning due to some office matter related to Labour Department, and I managed to take few shots with my LG 970 Shine handphone of the view outside the window while waiting in the waiting room. 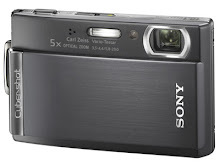 Well, if my Sony T300 can be such slim and small to carry around like my handphone, I will have a better shot on this photos. 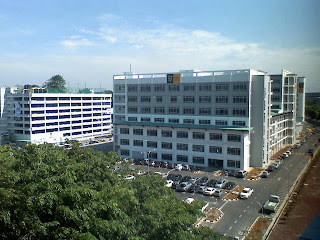 *I didn't know that SAINS office buuidling is just so near. 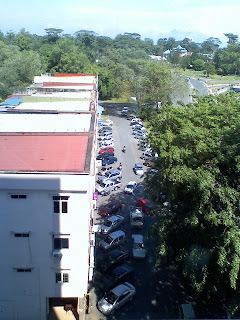 *Coffee shop are packed here everyday, the foods was good though and it's Halal.